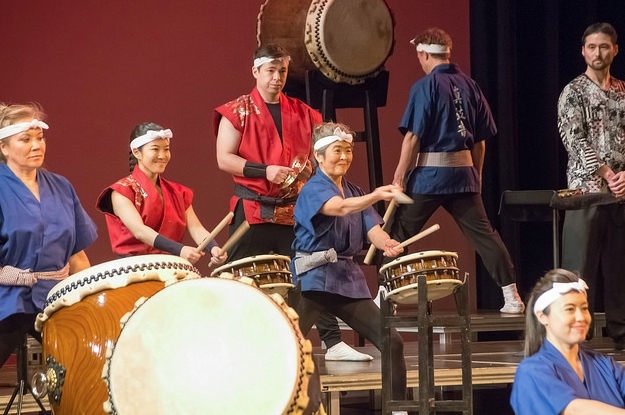 ARCADIA — Makoto Taiko is hosting its 19th annual concert in the Los Angeles area on Saturday, June 2, at 7 p.m. at the Arcadia Performing Arts Center, 188 Campus Dr. in Arcadia. The concert, whose theme is “Gathering Currents,” features a unique collaboration of songs by Makoto Taiko and six-time Grammy Award-winning producer and slack key guitarist in the Best Hawaiian Music Album, Best Pop Instrumental Album and Best World Music Album categories, Daniel Ho. Ho has been based in Los Angeles since the age of 9. He was born in Hawaii and is widely known there for the creation of the Kilauea Trio, after the active volcano on the Big Island. Other members of the trio are Randy Drake on drums and Steve Billman on bass. Every year Nakamura performs with the group, and the evening will culminate in his playing eight taiko of various sizes simultaneously. As aficionados know, taiko is more than a hobby or pastime, and for the most dedicated members, it is a lifestyle. 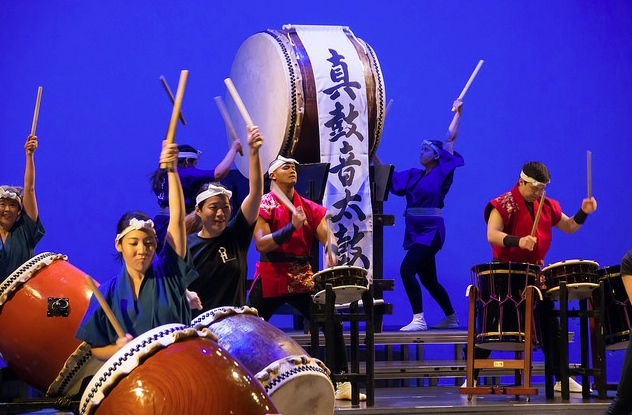 In New York, this writer first became familiar with and then passionate about taiko drumming after seeing performances by the city’s Soh Daiko and being overwhelmed by the discipline, synchronicity and athleticism that the art form requires. In Pasadena, guided by the teachers, Akemi Imai, Hunter Loyd and Martin Blagaich, and under the direction of Sensei Nakamura, new members quickly learn the basic songs and can graduate to the more complicated within a few months. Often new songs are created by teachers and students and then played collaboratively. Tickets can be purchased at www.makototaiko.org/currents.